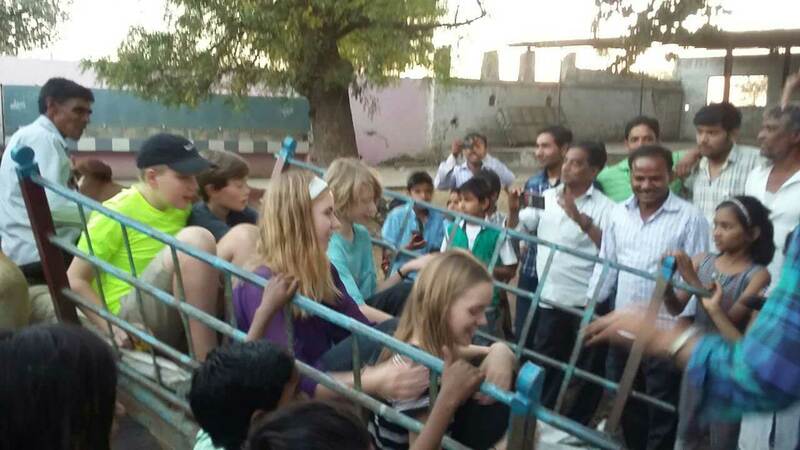 Whirlwind Bridge donated learning materials to the village of Raibidpura in India. 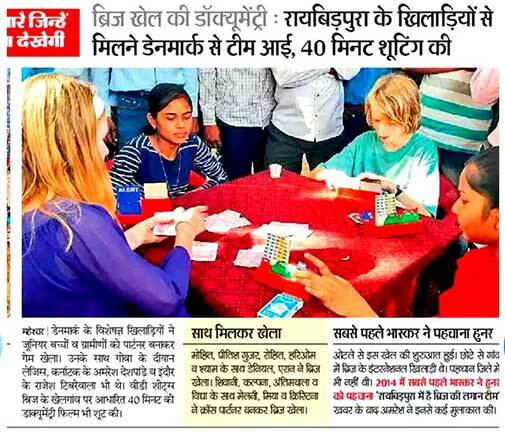 It is our desire to share the immense enjoyment and challenge of the game of Bridge worldwide. 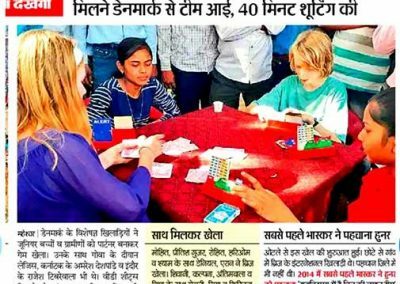 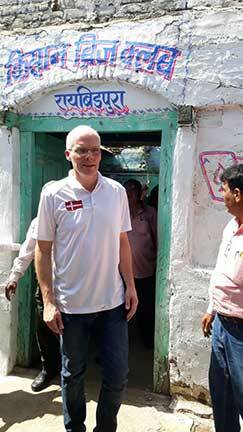 Morten Bilde and Amaresh, along with 6 bridge players (ages 10 – 14) plus a mother of two boys visited India for a week. 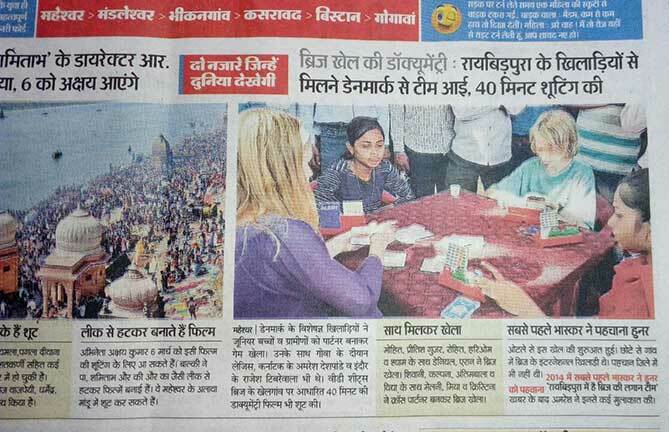 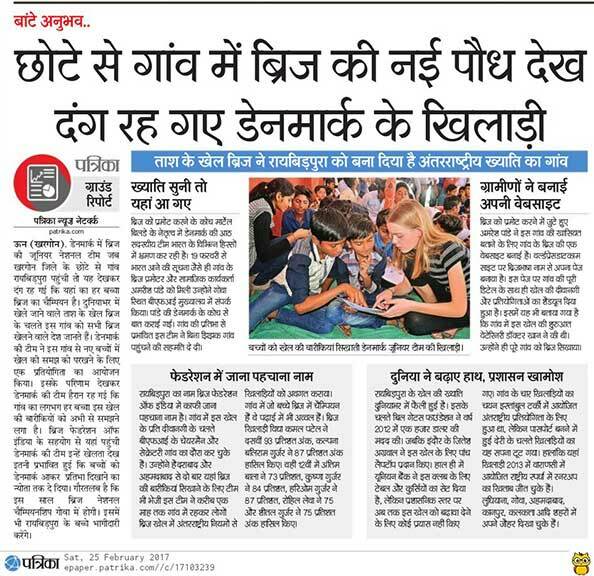 They had come to spread awareness of the game of Bridge in schools and colleges. 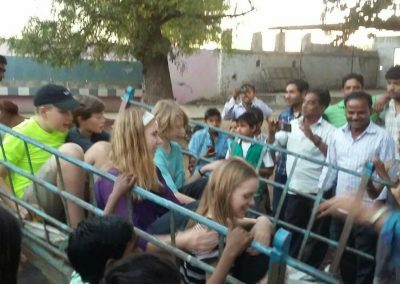 On the last day, they visited the remarkable bridge-playing village of Raibidpura – to whom Whirlwind Bridge had donated its teaching materials. 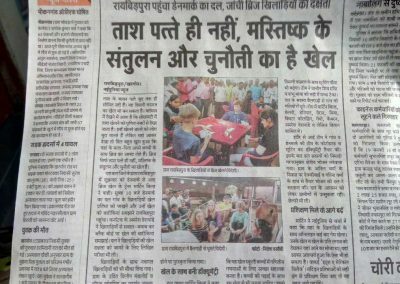 It was a wonderful experience for all and their visit was documented by the local papers. 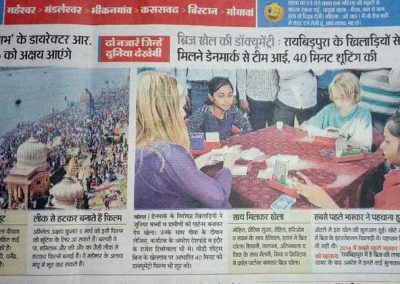 The enjoyment of Bridge has no boundaries.